With dedicated activation codes and security hardware dongles protecting premium applications against illegal use, the next step in the process is to identify the solution that streamlines administration and logistics of all the license models the ISV has generated. CodeMeter License Central is the fully featured, highly scalable, web-interface based license management system that integrates with your existing business process. Cloud applications face threats that on-premise applications were essentially protected against; in some cases, exploits are even facilitated by common architectures. This compendium outlines basic and advanced security rules that all cloud architects can benefit from, and underlines the reliability and security qualities of Wibu-Systems’ cloud-based license entitlement solution, CodeMeter License Central, and its hosting services. With its many promises, the Internet of Things is set to influence our lives, our way of working, and our future. Intelligent device manufacturers are called upon to assess cyber threats, redesign machines and processes, safeguard facilities and devices, and ultimately engage in a totally new conversation with contractors, solution partners, and customers. Only businesses that are able to reinvent and secure themselves will succeed in the long term. Flash memory has an essential role to play in keys and memory cards, which goes far beyond the ability to deliver your software onboard the device. CmDongles with flash memory are successfully implemented in many different fields, including the gambling industry, forensic analysis, finance, and the IoT, as they have proved themselves to be even more secure, cost-effective, versatile, and fail-safe solutions. Virtual environments and terminal servers have opened the door to swift and cost-effective infrastructure diversification, while creating major new challenges for software vendors. CodeMeter's versatile technology provides full control over security and licensing on real and virtual architectures, specific mechanisms to correctly count licenses, and a heterogeneous array of hardware, software, and cloud containers. For the makers of control systems and manufacturing machinery, software can be the indispensable key for many functions and applications. 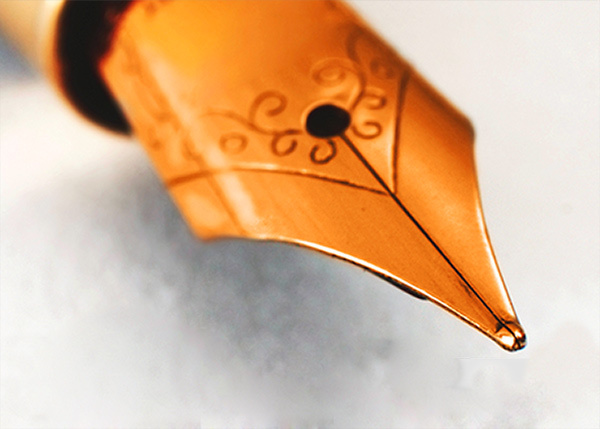 OEMs can protect this USP with adequate encryption technology that is effective against the copying of machine designs or the illicit transfer of essential know-how. Doing so gives them competitive advantage that can determine their long-term prospects and the performance of their engineering efforts. 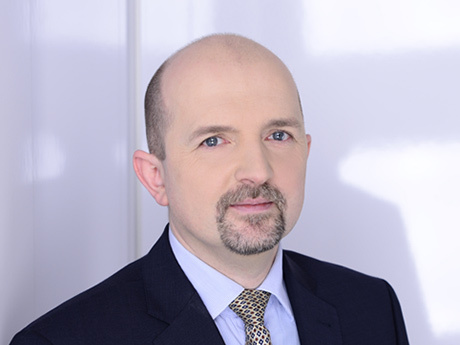 Industry 4.0 brings about an unprecedented phase of interconnectivity that opens up to new forms of attacks the original equipment manufacturers are subject to. The White Paper illustrates how a digital certificate chain of trust applied to boot loader, operating system, real-time application and configuration data is the key to top security and software integrity protection for embedded systems. The White Paper sheds light on various aspects of successful software monetization strategies, ranging from business-enabling licensing architectures to resilience against hacking. The document demonstrates how changing times demand that ISVs implement customer-centric business models and customer-friendly enforcement in order to increase their top-line software revenues while controlling bottom-line costs. All software publishers share the same basic need for IP protection regardless of the programming code they adopt. Several different license models can then be applied to enable business and meet customers’ demands. The White Paper dives into the technology underlying both security and monetization aspects and covers all possible hardware- and software-based variants a developer can integrate to build a custom secure licensing system. A survey of the evolution of IIoT systems and the convergence of operational technology and information technology, introducing the threats the new architectures are exposed to and the corresponding measures to safeguard investments on the new technological frontier. Learn how to assess the key performance indicators of trustworthiness (security, safety, reliability, resilience, and privacy) over the entire lifecycle of systems, both in the brown field and the green field. The explosion of the Internet of Things presents a greater attack surface for hackers and crackers to target. With 50 billion of connected sensors and devices expected by 2020, the range of vulnerabilities is extreme. It is therefore imperative to assess goals and risks, manage identity and integrity, encrypt confidential data, deploy hardware-based security technologies for mission critical systems, and protect limited devices with overlay networks. This structured procedural model allows manufacturing businesses, their suppliers, and their clients to define a pragmatic approach to current potential threats aimed at producing counterfeit products and acquiring know-how; it offers a way to run a vulnerability analysis, a selection of viable measures for protecting against product piracy and the loss of know-how, and the tools to determine the efficacy of the available options. 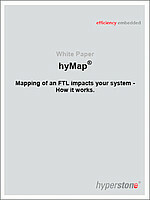 The mapping of an FTL (Flash Translator Layer) impacts your system. Hyperstone’s hyMap® mapping and flash memory management technology, available for all CmDongles equipped with flash memory, provides significantly higher random write performance, which results in maximum reliability and endurance, opening the possibility to use MLC in traditionally SLC prone applications, reducing costs, increasing drive capacities, and improving competitiveness. As cost-efficient NAND flash memory with high densities based on MLC, TLC, or even QLC technologies are increasingly prone to failure during field operation, flash memory controllers are facing great challenges. 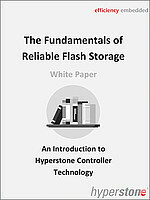 Hyperstone flash memory controllers offer proprietary features and implementation details designed to guarantee maximum endurance, lifetime, and reliability of NAND flash-based storage media.